Do you want to progress in your career? Are you looking for better ways to improve your professional life and be a confident person? Big Classes has the answer to all your questions! We offer Online Spoken English Classes for those who want to speak this language fluently and confidently. The importance of speaking English in the corporate sector and academic field has increased in the recent years. Huge foreign companies, MNC’s and private organizations have come up in young and modern India. This has resulted in an increase in employment opportunities for people from far flung areas, villages, small towns and cities. Candidates applying for these jobs are well equipped with technical expertise and know-how of the subject. But the trouble arises when they lack polished communication skills and are unable to communicate their ideas and opinions with ease. We at Big Classes are here to help you in your pursuit of better career prospective by offering Online English Spoken Classes. The courses are conducted to improve the overall speaking skills of an individual which covers several parameters – diction, correct pronunciation and enunciation. What makes our course special from other institutes is the fact that our training programs are conducted live for the benefit of user and make it a fun experience for the learner. The interactive nature of the training program helps the user to ask questions, clear doubts, learn in a better manner, understand the nuance of English Language and develop polished conversational skills. Candidates are trained to speak confidently, clearly and overcome any shyness or fear they might have felt earlier while communicating in English. These courses will ensure that you are able to speak in a clear accent without fumbling for words or stuttering nervously. Interact with your colleagues, co-workers, higher management officials freely and confidently with the help of these Online Training Courses. 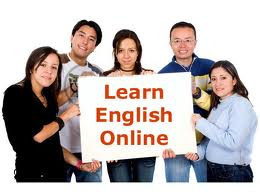 Big Classes Online English Training Courses are extremely valuable to those people who have hectic schedules or are unable to attend any training institute. Now you can learn how to speak excellent English from the comfort of your home, office, hostel or anywhere else. This is a powerful and helpful tool to learn English especially for professionals, corporate executives, homemakers and students. Students who are preparing for competitive examinations to study abroad or pursue higher education can opt for these courses. Voice based examinations for studies abroad require students to speak effortlessly in fluent English which should be easily understandable, without mistakes and nervousness. Our classes will help you in achieving success and pass the examination with flying colors. 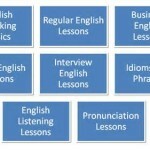 Our Spoken English Classes are interactive, user friendly and interesting. Now you can let go of any fear, shyness and enroll into these courses to get your dream job or achieve success in life. If you are a working professional, be a part of the corporate culture and stand out in the crowd by speaking perfect English without any mistakes, flaws and fear! Big Classes beckons you to join and enroll into these Online Spoken English classes for a bright future!